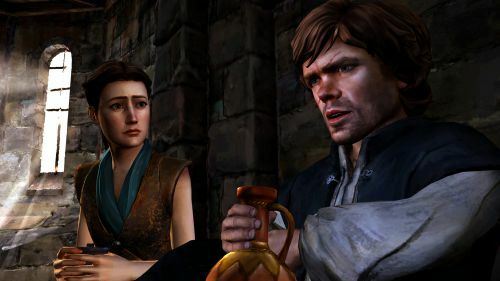 A Nest of Vipers, the fifth episode to Telltale Game’s Game of Thrones season, delivers us a good deal of combat, action, and a great final scene. This is the penultimate episode and we definitely see a lot of build up for the climatic finale. There is a good mix of the slower, conversational down time against the faster, deadly action moments. It’s a relief to see this episode being almost entirely bug free. The final scene in the game is especially momentous and really sets the stage for the finale to hit hard. 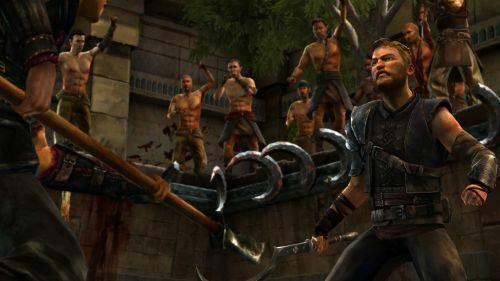 Whether you are playing this series for the political schemes or if you enjoy the blood-filled combat, episode five has you covered on all fronts. All the dialogue point towards the climax to come in the next episode. They are charged with intrigue and suspense as the game makes you await what is to come. In other places characters are constantly fighting for their lives. There is a lot of action to play through here that gets quite brutal. Characters will definitely die and you have to choose who and when. The various speeds of tension allow for a good mix of everything. Plot threads begin to converge nicely as we look forward to the end. This is played out best in the final scene when two major characters meet for the first time this season. It brings a sense of relief along with excitement. It moves the plot forward significantly while pointing towards a, hopefully, exciting climax. 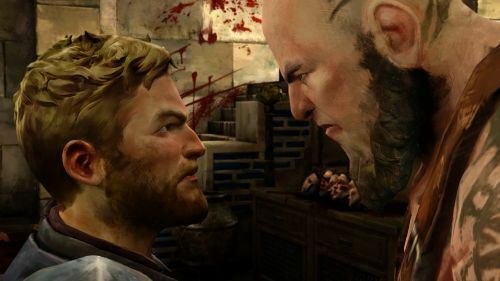 This final scene also presents one of the hardest choice for the player to date in this series. This really paints a picture for what to expect and leaves the player wanting more. The only real bug I saw was during a hunting scene which involved holding down the right trigger to pull back a bow. Whether it was from me holding too soon or the game not visualising the fact that I was pressing the input, the scene didn’t play out smoothly. Thew on screen indicator of my button press didn’t work, causing me to miss the target. You can’t fail the scene so there wasn’t really any annoyance but it was still an odd mishap to happen. A Nest of Vipers ended up being one of my favorite Game of Thrones episodes so far. By converging some of the ongoing plot threads, the bigger picture became more clear and coherent. The pacing felt great with enough action to space apart the slower, more thoughtful sections. This is a great penultimate episode that ends on an incredibly meaningful note that will easily make you look forward to the finale.